The archive aims to allow readers to look back over the many years of the Pheronews newsletter, which gives us all a great resource for scientific information and user experiences and opinions. Please be aware that many of the offers are out of date, and there are a lot of broken links which are mostly irrelevant anyway. Hope you are all enjoying the holiday season. With two young kids in the house and a wife down with the flu, sometimes I wonder “are we having fun yet?” but I can’t complain. First full month back in Eugene went by in a blur. Whew! We have been working on the long awaited Scent of Eros for women and will hopefully be ready to roll in the next few weeks. Expect to see it in next month’s newsletter. Hope this newsletter finds you well. We are getting a little reprieve from the heat here and even got a little rain last night! Looking forward to a little much needed vacation time this month. 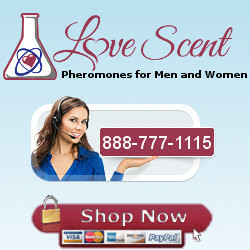 Sorry we are so late with this issue of the Pheromone News. Been very busy as usual. Got my vege garden in though and it is humongous already. Check the website often in the coming weeks; lots of new products coming out.